My friend Carl sent me this recipe and it’s really delicious. 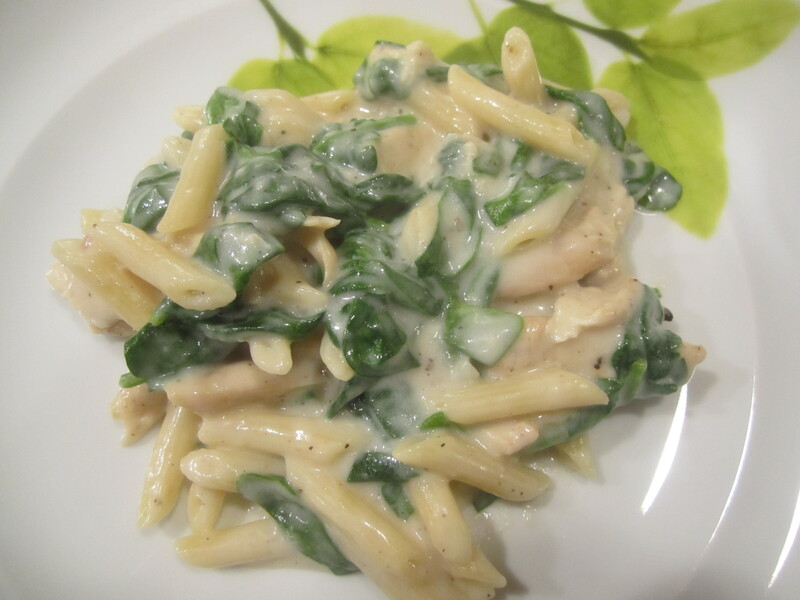 Comforting and creamy yet reasonable in the calories department, with lots of spinach (my favorite). I used chicken tenders instead of the chicken breasts. 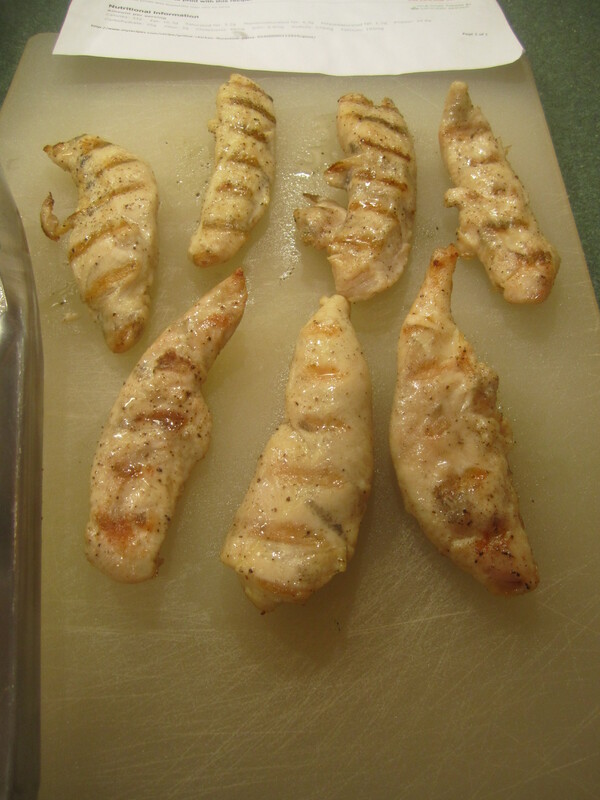 For some reason, bone-in chicken breasts, are scarce at my local Shoprite. Either they are humongous or really close to the expiration date, neither acceptable to me. And in most recipes that contain pasta, I halved the amount. 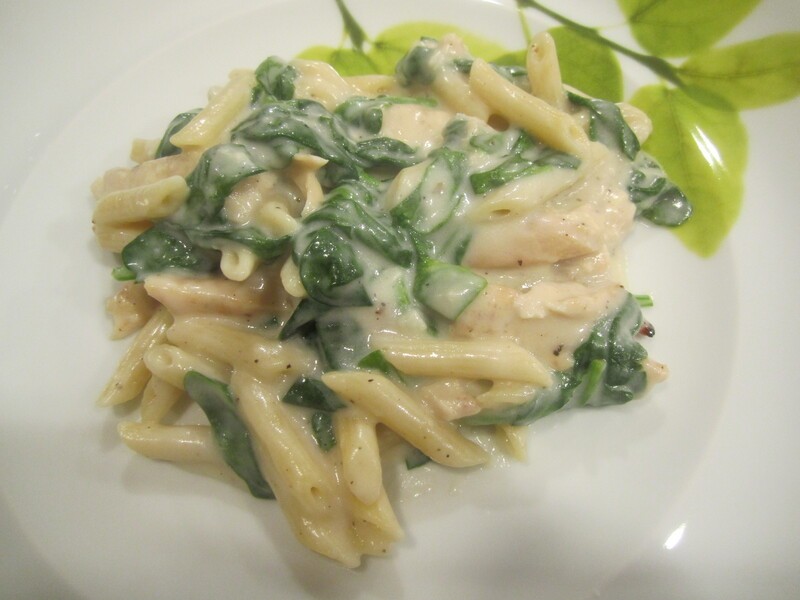 I also chose to use Penne instead of the linguine, but either or any pasta would work great in this recipe. Prepare grill to medium high heat. 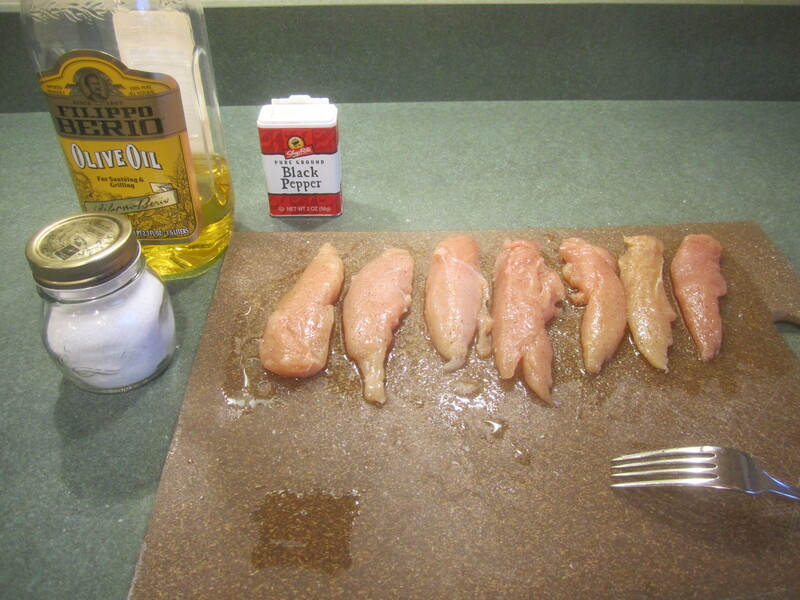 Brush chicken breasts with olive oil on both sides and then sprinkle with 1/4 teaspoon salt and 1/4 teaspoon pepper. 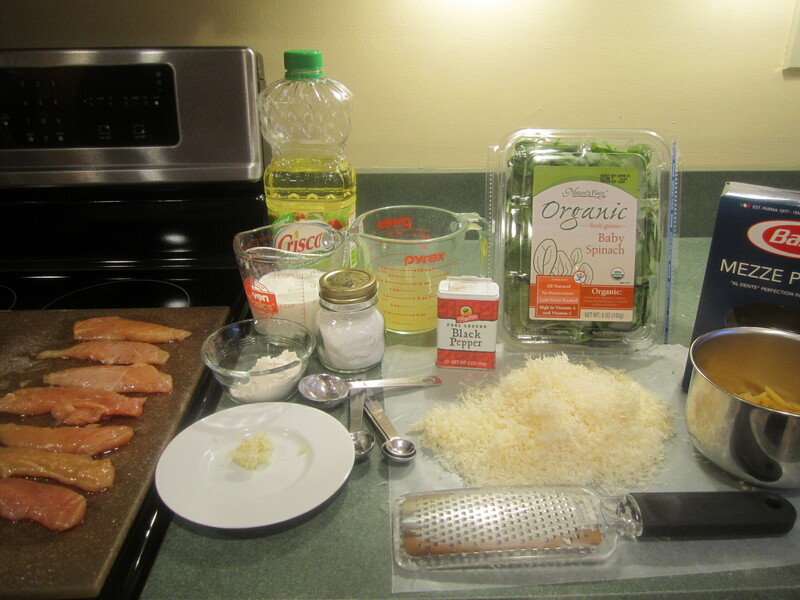 Grill chicken, 3 minutes on each side or until done. Remove from grill and let stand for 10 minutes. 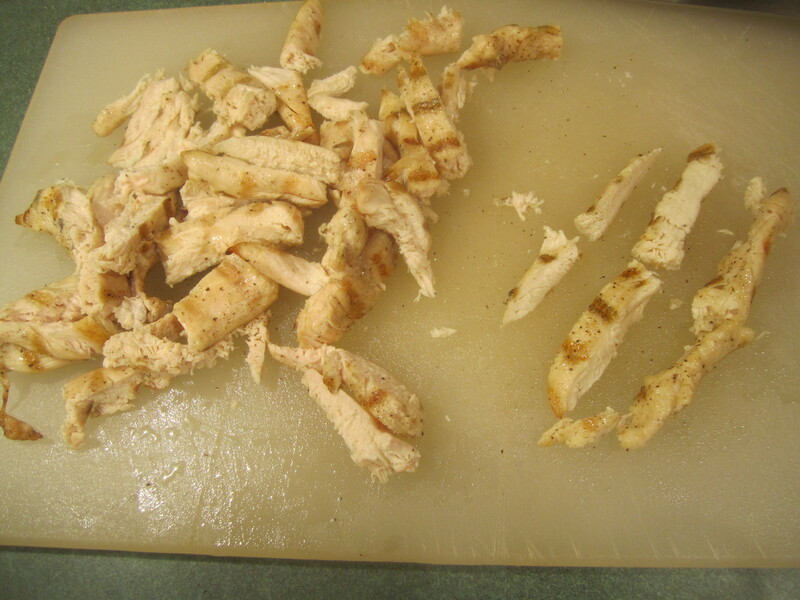 Cut chicken tender lengthwise to get 3 strips and then cut again crosswise, to get 6 small pieces. Cook the pasta according to the package direction. Drain well and keep warm. Heat a large nonstick skillet over medium heat. Add oil to pan. 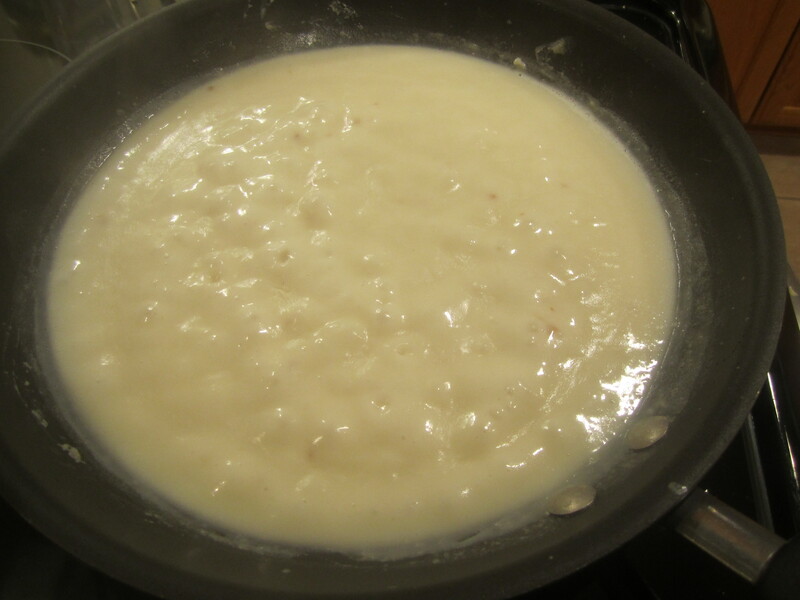 Add flour and garlic and cook until garlic is browned, about 2 minutes, stirring constantly. 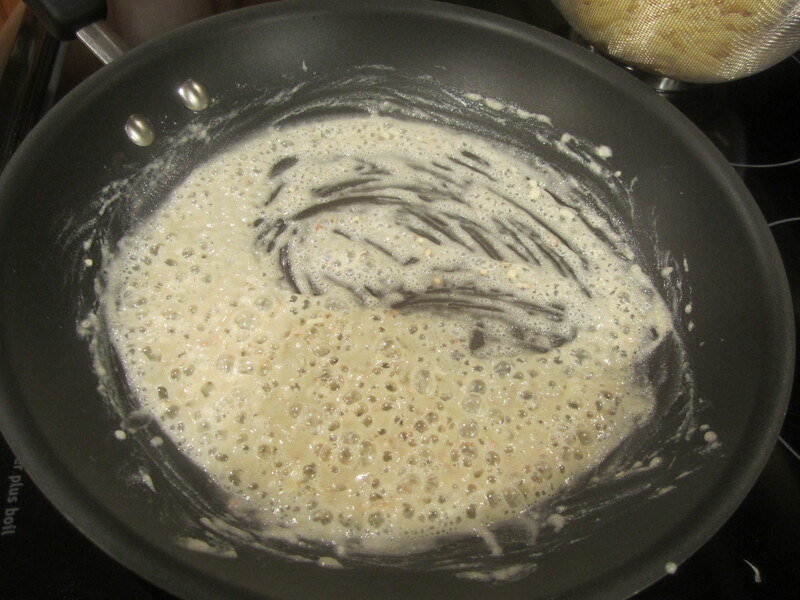 Add milk and chicken broth and stir with a whisk. 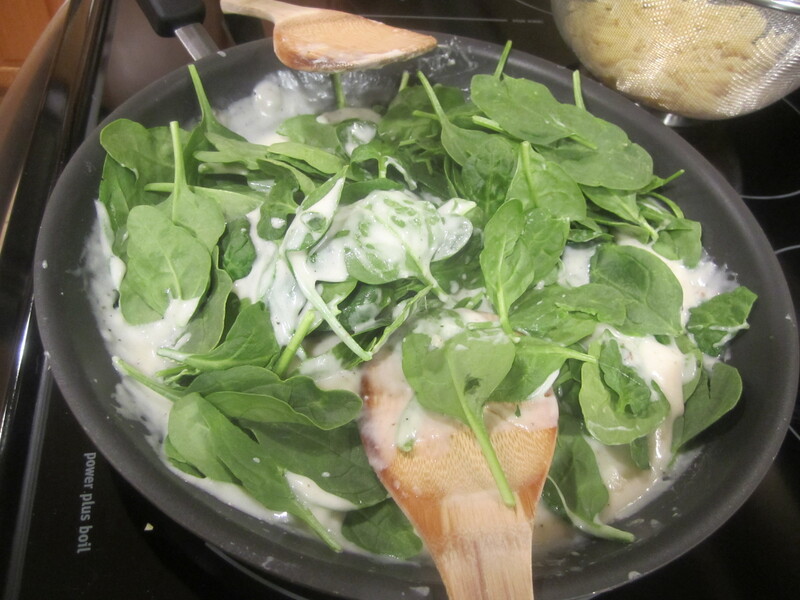 Bring to a simmer and cook for 2 minutes or until thickened. 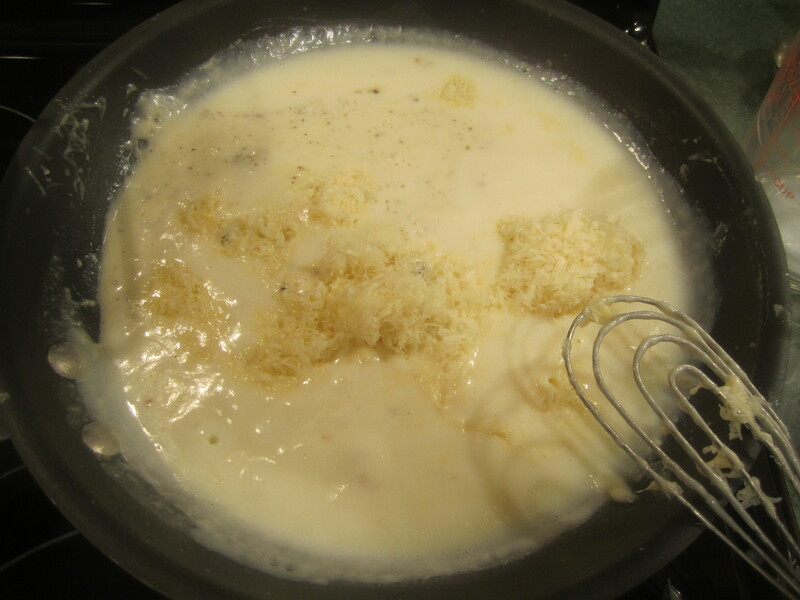 Add cheese, stirring until cheese melts. Add remaining 1/2 teaspoon salt and 1/2 teaspoon pepper. 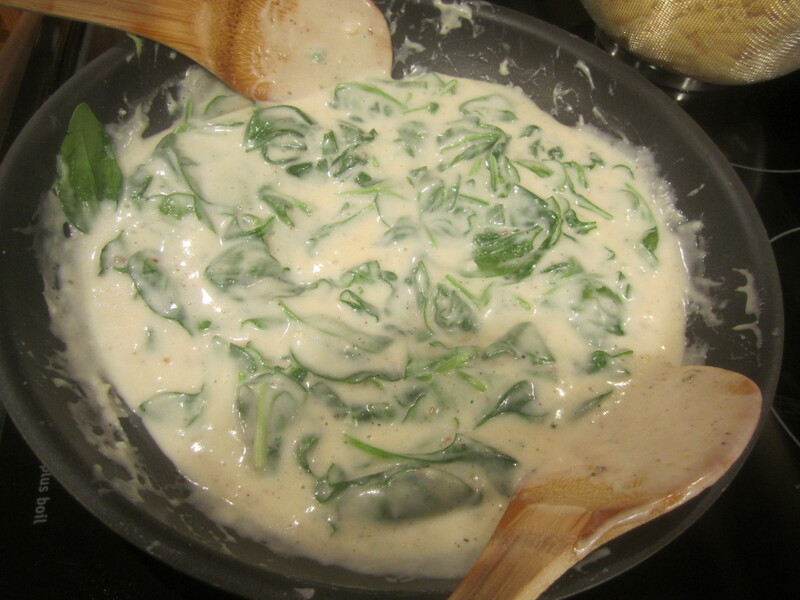 Add spinach stirring constantly until spinach wilts. 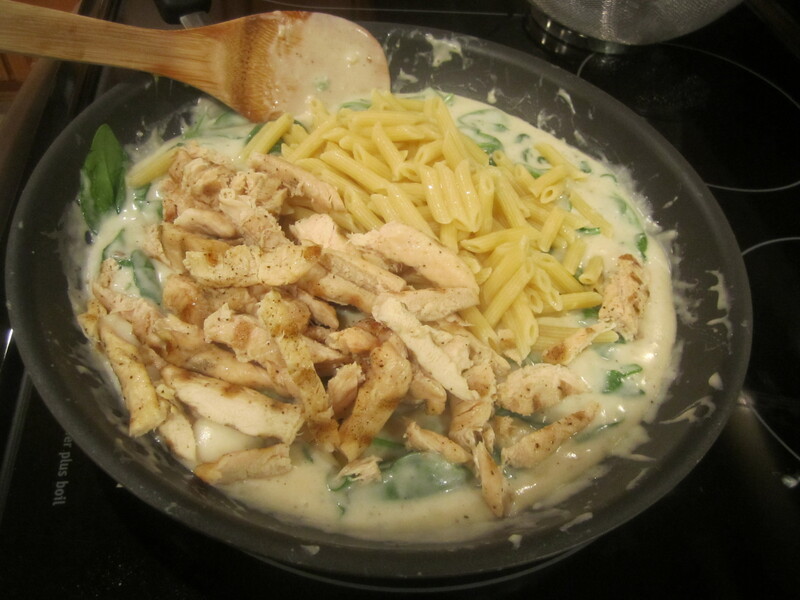 Add pasta and chicken and stir until combined and warmed through. Serve immediately.